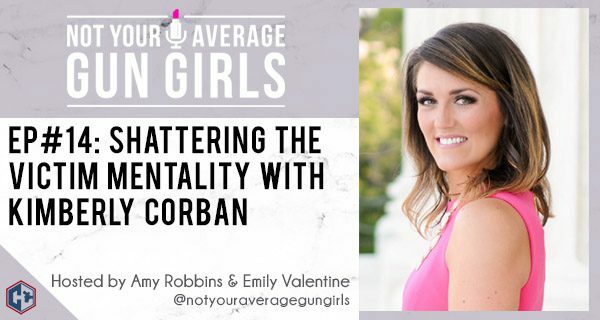 In this week’s episode, Emily and Amy take time during Sexual Assault Awareness Month to talk with Mother, Survivor, and Advocate Kimberly Corban to gain insight into a world that shifted from victimhood to advocate. Kimberly takes an authentic approach to telling her story of surviving sexual assault as she discusses the night’s events, what she is doing to today to be prepared and trained so that this never happens to her again and why she is such a big advocate for the second amendment and women’s’ right to choose how they will defend themselves. 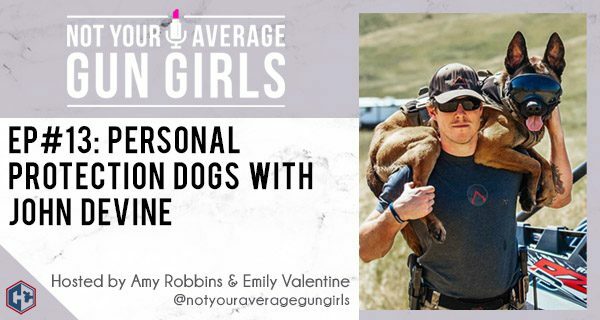 This week, Amy and Emily talk with former Navy SEAL John Devine, founder of Devine K9s, about personal protection dogs. John discusses the benefits of having a personal protection dog and how they differ from your family dog. John talks through his background with the Navy SEAL K9 teams and how he brings that experience and commitment when training his dogs. Listen in to see if a personal protection dog is a good fit for you and your family. Style Me Tactical – A lifestyle blog sharing concealed carry outfits, tips, and preparedness advice. Alexo Athletica – A fashionable, functional active carry-wear line created for women to be able to carry their self-defense tool of choice. In this episode, Amy and Emily answer questions that have been submitted by listeners. They cover everything from their preferred method of concealed carry, tips for making females feel more comfortable at the shooting range, how carrying concealed impacts our shopping choices, how we stay organized and manage our time with so many things on our plates, and so much more. This week, Amy and Emily talk with firearms instructor Jerah Hutchins from Defender Outdoors. 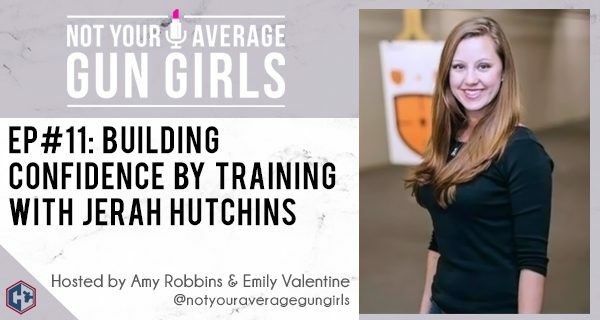 Jerah discusses the need for bringing more women into the firearms industry and why getting educated and trained early with firearms is important. 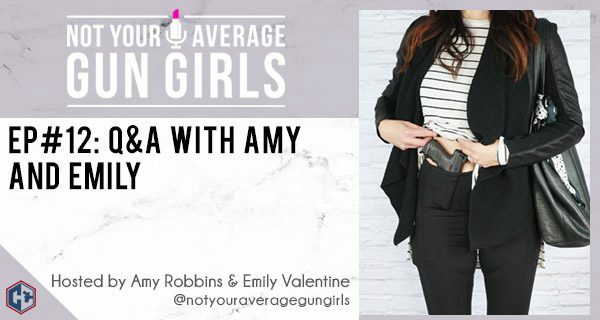 The girls talk about the unique challenges women have with concealed carry and why it’s important to plan your day with your carry options in mind. Listen in to find out why it’s important for gun owners to get training to be accountable and responsible. In episode 9, Amy and Emily have an open discussion on the current events around school security with 3rd grade teacher, Corrie Recchia. The girls discuss their perspective on the need for increased school security and teachers having the option to defend themselves and their students. Corrie discusses dressing for concealed carry at the workplace, where to carry on-body, and what types of training she does in order to defend herself in a state that has strict gun control in place. In episode 7, Amy and Emily catch up with Carly Twisselman during SHOT Show at the Springfield Armory booth. You may know Carly from her time with NRA TV, Ride TV, Gun TV, and as a rodeo champion. 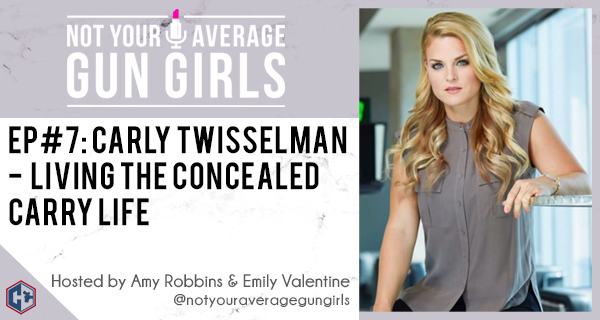 The girls discuss Carly’s latest project, My Carry Life which documents her journey from purchasing her first handgun to getting her concealed carry license, to obstacles of concealed carry, and embracing who you are. 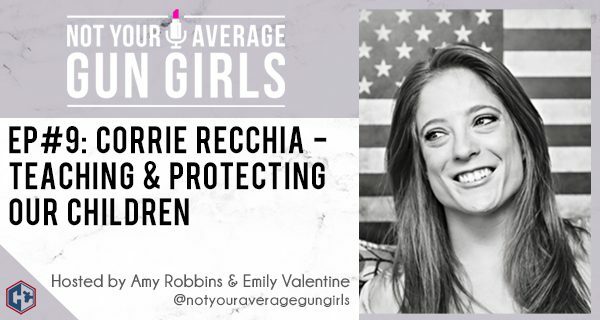 Hear about how Carly has met so many great women in the gun community and why women need to be able to protect themselves, be confident, and speak out about gun ownership. In episode 6, Amy and Emily sit down with Annette Evans while at the Springfield Armory booth during SHOT Show 2018. From commercial lawyer to firearms instructor to competitive shooter, Annette brings her experience and helpful tips to share. 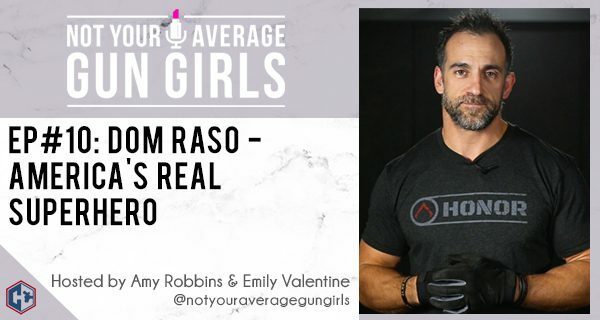 Listen in as the girls have an in-depth conversation about off-body vs on-body carry, tips for improvement, and when is the answer to not carry a firearm. Also, learn more about Annette’s book, The Dry Fire Primer and how dry fire can help improve your shooting today! In episode 5, get to know your hosts, Amy and Emily better in this really fun episode. At the Heckler and Koch booth at SHOT Show 2018, the girls take a break to share their stories about growing up around guns and how they got into shooting. 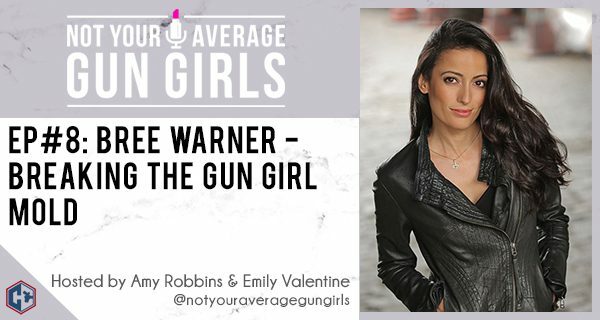 Hear about why it’s a good time to be a female gun owner and how by taking on this journey to become self-reliant has led both Amy and Emily to be not only great friends, but more empowered and confident in their everyday lives.